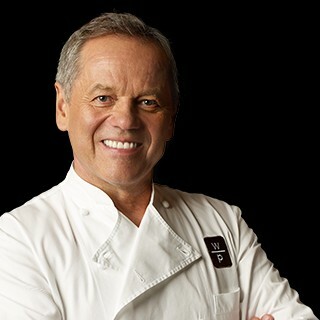 On June 5, 2013, I had the opportunity to spend ten minutes on the phone with Chef Wolfgang Puck who is introducing a new countertop appliance, the NovoPro Oven. Chef Puck was able to speak a few minutes about his new oven (which he is selling on HSN this weekend), and I got the opportunity to ask him a few questions ranging from the theatricality of fine dining to eggs to barbecue. The interview was conducted by phone and I had a hard time hearing (the volume was fairly low). It also appears that there was a slight delay of less than a second, but that threw things off a little as it was hard to detect pauses to interject comments or direct the interview to other questions. 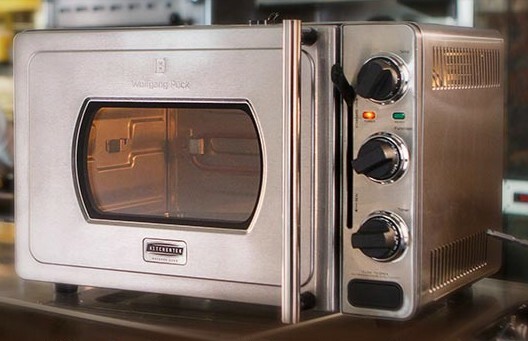 Before the interview, I was informed that I'd have eight to ten minutes of time with Chef Puck, he would speak about his NovoPro Oven, and I could ask him any questions I wanted. I was called at my appointed time, and a man verified that everything was working (you hear his voice near the end of the video telling Chef Puck that I had run out of time). His voice was loud and clear. I waited about a minute and the man came on and said it was my turn and I heard silence. I tentatively said "Hello?" and then I heard a very faint response that (after reviewing the video) turned out to be "Hello, how are you Michael?". I barreled along with what I had planned on saying at the beginning while hoping that the volume would get adjusted because I could not figure out what Chef said. He did not immediately plunge into talking about his NovoPro Oven, so I took the opportunity to get my first question out and asked about his thoughts on modernist techniques and molecular gastronomy. The volume was adjusted during his reply so I could make out what he was saying (but not always clearly). He then skillfully segued into talking about the new countertop low-pressure oven. At one point in the interview, Chef Puck demonstrates how beautiful poultry looks when it comes out of the oven. I was surprised to find that I could not keep myself from playing along (even though I couldn't see anything since I was only on the phone) and actually uttered the word "wow". Luckily, after I received the video, the "wow" was not poorly timed. Good thing there was no video on my end or there might be evidence of my embarrassment (blushing for sure) at "selling out" so easily. I wasn't sure how to redirect the conversation back to my questions... so I just did it (rather bluntly) once he had talked about the new oven for about five minutes. I spent the rest of the interview wondering if I had acted like a jerk by not letting him talk more about the oven, but, after watching the video, I think it turned out okay (or he's just a very gracious interviewee). Anyway, I had a lot of fun doing the interview and I hope I asked some interesting questions. Have a look and let me know what you think. One of the things that I didn't understand about the oven (and didn't press too hard about since I wanted to leave time for my other questions) was how "low pressure" cooking sped up the cooking process. Chef Puck's answer didn't seem to make sense to me. After thinking about it for a bit, I think the only way it makes sense to me is that "low pressure" doesn't mean low pressure. I suspect it means low high pressure as in it's higher pressure than 1 atm but lower than a typical pressure cooker. That's the only thing that makes sense to me.